Blessed with 3 world class ski resorts and a vibrant downtown core, Vancouver offers slope lovers the premier destination to cover all their needs. City & Slope adds music, special 3 slope passes, light shows and on-slope events to an already beautiful City and North Shore. Illuminate Yaletown is a spectacular event held in the heart of Yaletown for City and Slope. 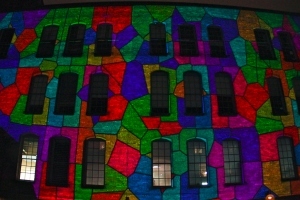 This is a free, multi-night, entertainment-filled street party that features remarkable light installations from local artists. Illuminate Yaletown is an annual visual spectacle that takes the neighbourhood by storm each year. Starting at dusk and continuing late in the evening on February 10th — 11th, 2012, this event brings thousands of residents and visitors to the core of Yaletown. Illuminate Yaletown utilizes advanced video and lighting technology that is both cutting edge and power smart. Showcasing the latest technological and environmental advancements in the lighting and power generation, this light show has the ability to awe the audience with its brilliance. IY is an event that can speak to the use of renewable power sources, cleaner generation technologies as well as more efficient light technologies. Many restaurants and local businesses take part in Illuminate Yaletown adding to the scope of the event and expanding the overall experience. With light shows, music, and great food, Illuminate Yaletown gives Vancouverites the opportunity to view breathtaking art while rocking out to live DJs on our city streets. 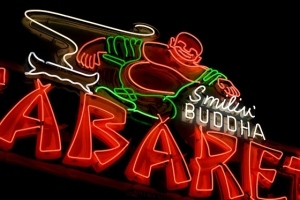 Explore Vancouver’s gritty, urban past at Museum of Vancouver’s (MOV) feature exhibition, Neon Vancouver/Ugly Vancouver. Walk through the “new” Neon Gallery and take a fascinating look at the explosion of neon signage during the 50s, 60s and 70s, and learn about the visual purity crusade that virtually banished it from Vancouver streets. Great for adults and families, The Neon Gallery reaches into the MOV’s historic neon collection and resurrects some of the former magic of the neon era. Marvel at the lost art of neon with long-time favourites like Regent Tailors, Owl Drug, and the Drake Hotel, Blue Eagle CafÃ© and the Smilin Buddha Cabaret. CafÃ©s and Restaurants on Cornwall and 4th Avenue nearby. 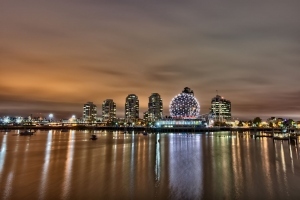 Vancouver’s iconic Telus World of Science (Science World) has recently been retrofitted with bright, colourful LED luminaires. Most nights the dome shows it’s ‘classic’ look which mimics the original incandescent lighting of the building when it was constructed for Expo 86. When the dome was built the engineers imagined a dynamic light show on the exterior of the dome where a light starting at the top of Science World circles the dome until it ‘lands’ on the ground. With the modern, web-enabled lighting control system dynamic shows, playful interactive exhibits and real-time data visualizations are all possible. The dome has 286 colour changing LED’s capable of producing millions of colours. Well worth a walk around beautiful False Creek on the famous Vancouver Seawall! For the first time in Vancouver, Mini Yaletown is proud to present Karv! 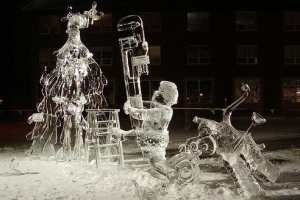 Held within Illuminate Yaletown, Karv is an exhibition of ice carvings and sculptures that explore the concept of water, fire, ice and the refraction of light. Just 15 minutes from downtown, Vancouver’s premier attraction offers the perfect destination for a truly rewarding and memorable experience. Visitors have been flocking to Grouse Mountain since their first official season in 1926 to enjoy the best downhill sports. With 26 ski and snowboard runs, 14 night runs, 4 chairlifts, 2 terrain parks plus the Cut Jump Line, 10km of snowshoe trails and the North Shore’s most extensive snowmaking system, Grouse Mountain is the city’s playground, right here in your own backyard. Have you ever wondered what it would be like to carve down a ski run as the sunrise frames the city in front of you? To celebrate 2 years since the Olympics and demonstrate our passion for winter, all of our facilities from skiing to dining will be in full operation all night long. Join us in celebrating all things Winter for an entire weekend. Non-stop skiing, boarding, snowshoeing, and skating for 24 hours! Mt Seymour is pure Canadian West Coast located just 30 minutes from downtown Vancouver. Take in the breathtaking views of Vancouver, the Georgia Straight, Mt Baker, Washington State, and Vancouver Island. The ski area’s 80 hectares of terrain, which includes 40 hectares lit for night skiing, features gentle slopes where beginners will progress rapidly and excel. Advanced skiers and snowboarders will discover challenges and hidden secrets within the area’s naturally contoured slopes, gullies, tree runs, and terrain parks. With a long-standing tradition of providing each and every guest with a memorable mountain experience, whether you’re seasoned pro or have never played in snow before, Mt Seymour welcomes you. 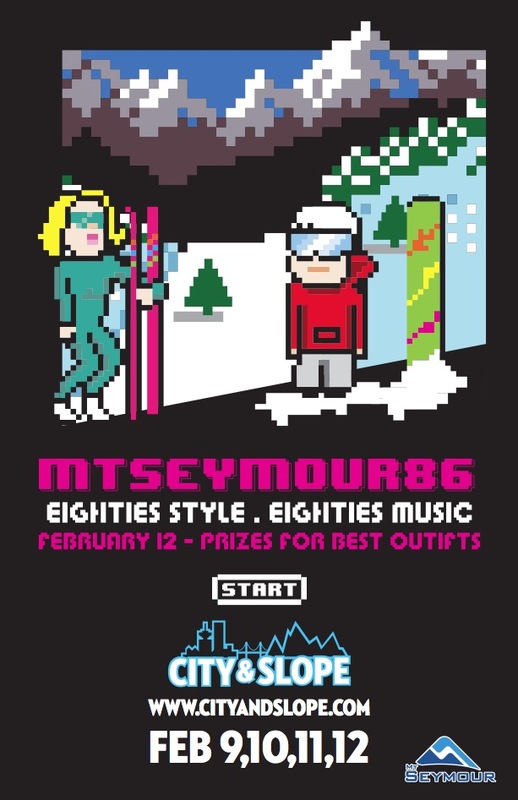 Come celebrate the impeccable tastes of 80’s slope style at Mt Seymour on Sunday February 12th. There’ll be prizes for best dressed skiier and snowboarder plus giveaways and all the 80’s music you can handle in your neon onesie. Need some inspiration? Click here to see Mt Seymour in the 80’s from it’s starring role in Hot Tub Time Machine! Some kind of retro thing going on this weekend? HELL YES! Cypress Mountain – PROUD HOME OF CANADA’S FIRST OLYMPIC GOLD MEDALS ON HOME SNOW! Cypress is only 30 minutes from downtown Vancouver and is proud to continue to provide our skiers, riders and sliders with the most vertical drop, most terrain, most lifts and best snow conditions on the highest skiing and riding peak of Vancouver’s Legendary North Shore Mountains. 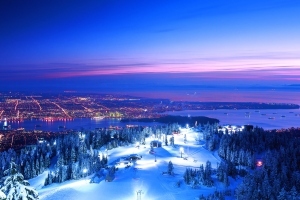 With the best Winter Skiing & Riding in Vancouver, Canada’s most popular Cross Country Skiing Area, a huge Snowtubing Park and our unique Snowshoeing Tours, Cypress truly offers something for everyone! As part of City & Slope you are invited to come and celebrate everything that makes Canada Canadian. Cypress Mountain’s first annual CANADA SKI & SNOWBOARD FESTIVAL starts Thursday February 9th and runs until Sunday February 12th. This inaugural celebration of Canadiana, the Olympic Gold Medal Legacy, and Snow Sports will be filled with activities and fun for all. 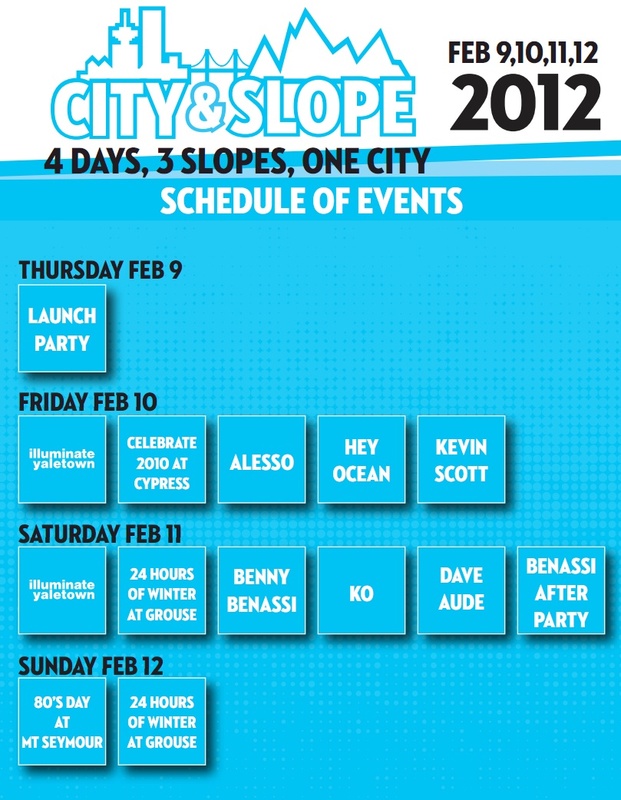 Visit http://cypressmountain.com/node/21077 for the full festival details and daily event schedule. 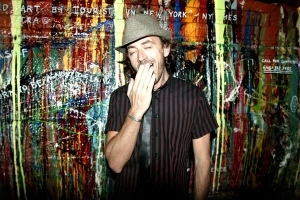 The dirty and cool, sweaty and smooth electro sound of DJ/producer Benny Benassi scored worldwide success with “Satisfaction” in 2002. With his cousin, the producer and musician Alle Benassi, things just got better and better. The album “Hypnotica”, the side project “Benassi Bros” and the album “Rock n Rave” and a series of remixes including, in 2009, tracks for Flo Rida, Madonna, Shakira, Kid Cudi and many others. Benny has won tons of prizes and awards around the world and continues to tour the five continents with his unique style. In 2008 Benny and Alle won a Grammy Award for the remix of Public Enemy’s “Bring The Noise.” In 2011 the highly anticipated Electroman Album was released on Ultra Records. The album features the hit single “Spaceship” which adds a pop tinge and is laced with sultry vocals from globally renowned singer, Kelis. Also collaborating on the single are Black Eyed Peas’ member, apl.de.ap and producer Jean-Baptiste, both of whom contribute incredible rhymes and vocal styling to the track. Furthermore, the album features the huge hit “Beautiful People,” which is a collaboration with Chris Brown. With the help of classics like Grasshopper, Punk’d and Riff, recent hits like Love is Darkness and of course massive collabs and remixes of The Killers (Spaceman), Sia (The Girl You Lost To Cocaine), Robbie Williams (Close My Eyes) and Depeche Mode (Peace) Sander shrugged off the confines of genre typecasting long ago and created something he prefers to call ‘SvD-style’. On July 4th, 2011, Arty released his massive, big-room house anthem “Around the World” on Anjunabeats following unprecedented support across the board from Axwell, Chuckie, Hardwell, Tiesto, Robbie Rivera, Armin Van Buuren, Above & Beyond, Gareth Emery and an extended list of the biggest names in electronic music of the moment on the biggest events of the year such as the Swedish House Mafia’s performance on the main stage of the record-breaking Electric Daisy Carnival Las Vegas in June 2011. Artem Stolyarov has himself already been around the world and back having played events across the globe from the most prestigious clubs to some of the biggest festivals including Global Gathering, Gatecrasher and ASOT 500 in Den Bosch.